Reach COUNTLESS PEOPLE around the world with the message of Jesus. Rhema’s graduates are TAKING the message to the world. 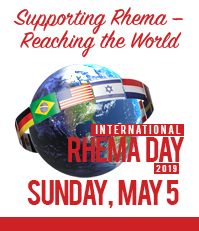 That’s what International RHEMA Day is all about! To learn more, you can go to rhema.org/ird.